Are you ready to experience dog sledding in the Arctic mountains? We see that dog sledding is becoming more and more popular, especially among the foreign tourists. There is hardly a better way to experience the wildness of Arctic nature than behind a dog sled. 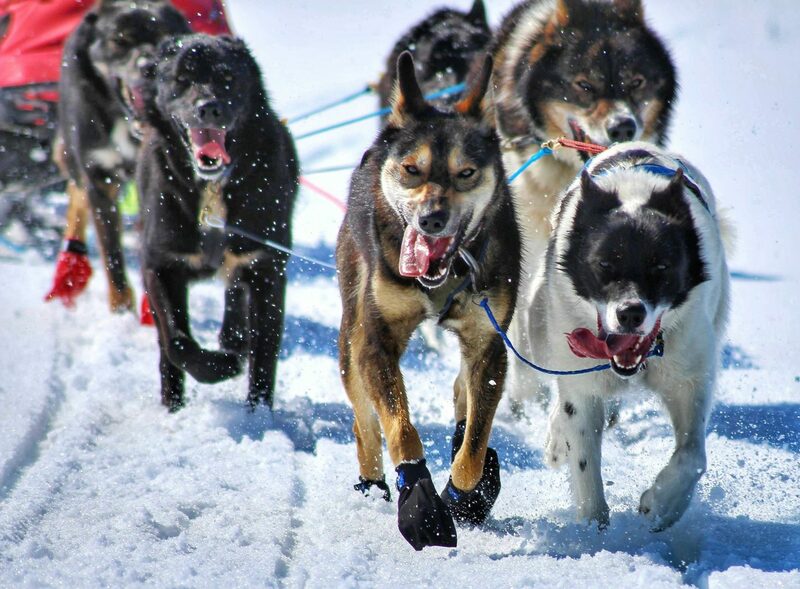 The fact that our partners have broad knowledge and experience from, among other things, the dog sledding capital, Alaska, makes us feel confident that we deliver a high quality experience to our customers. We are also proud that Trine, born and raised in Sulitjelma, is one of our partners. Starting from Jakobsbakken, with magnificent buildings from the mining industry in the late 1800s, we offer three different options for those who want to experience the thrill of dog sledding. In this package, you will try to drive a dog sled along with a friend. We run a round of approx. 2 km, so you can try the dog sled. Suitable for large groups wishing to try dog sledding. Do you want to lead your own dog team with a friend? In this package you will prepare the dog sled for driving before heading for the Arctic mountain world. The trip itself is approx. 2 hours and requires that you are in normal physical shape. In this package, we’re tailoring a unique experience through the Arctic mountains, with the possibility of one or more overnight stays. Normally good physical shape is required.